Aside from the fact that I apparently need to re-watch the Lord of the Rings trilogy, my big take-away from the conversation was- thank goodness for Atlassian! At Praecipio Consulting, we leverage the collaborative power of the product suite for everything from content review to coming up with new ideas and innovations for our client work. Even with resources located across the country, I still get the input I need from our team with tools like Confluence, Jira and HipChat. As an international company with offices from Australia to Austin to Amsterdam, Atlassian knows the importance of remote collaboration across disparate teams. With a product suite that facilitates communication and documentation, Atlassian helps organizations worldwide increase productivity with tools like Jira, Confluence and Stash. One could write code in Asia, then have a team member in South America review and merge it. Marketing initiatives begun in England can be aligned with corresponding product releases developed in Iceland with Jira Portfolio. The Atlassian line of products, designed for maximum collaboration, allows remote team members to bring their expertise to projects to achieve best results. 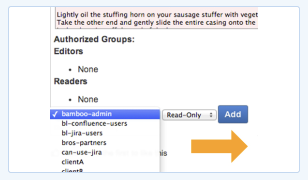 Besides using the Atlassian tools to prevent misappropriated movie references, we also collaborate in other ways. While spell check has done wonders for catching errors, it is always good practice to have someone review your work before pushing to production. Jira and Confluence track activity by users, alerting page and issue watchers to edits made and keeping the general population abreast of developments via the activity feed. 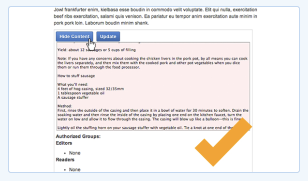 This allows your team to see changes made and weigh in with comments. If you have Confluence 5.7, you get even more editing power with the ability to leave in-line comments on documents and attachments for the most specific, efficient method of feedback. At Praecipio Consulting, our best collaborative practices include color-coded copy edits that delineate areas for re-write, removal of copy or verification of content accuracy. Using our colored copy system, it is easy to provide specific feedback during collaboration that the content owner can efficiently incorporate into the document. To further standardize our review process, we created a custom Marketing Communications issue type in Jira with its own workflow. We now have the ability to track the progress all our content from In Progress to QA (review) to Publish. By assigning the issue to the user responsible for each step in the process, the reporter (the person who ultimately owns the project) can easily see when to expect the next content release. 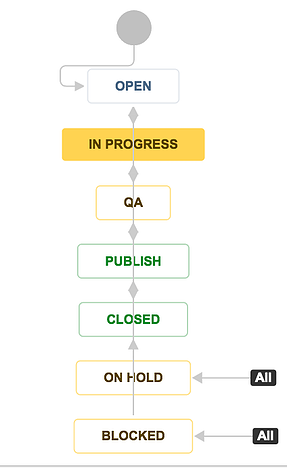 With reports and customizable dashboards in Jira, we can easily view our communications schedule to ensure that content is on track throughout the In Progress and QA phases for on-time publishing. Not only does this help us thoroughly review content before publishing, but it also streamlines our processes by avoiding multiple individual sub-tasks and instead tracks the workflow within the main communications issue for best collaborative practices. 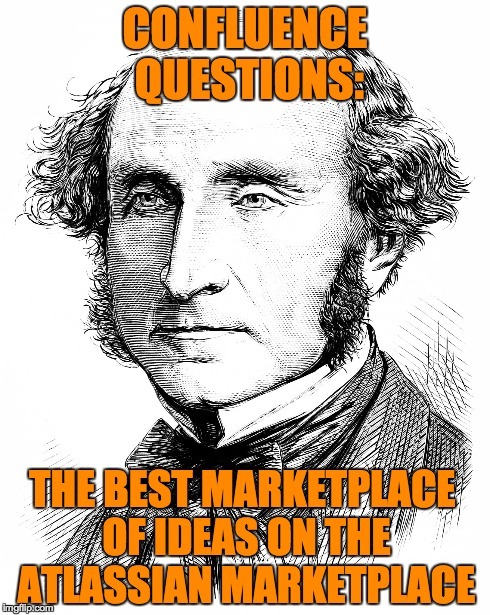 In 1859, philosopher John Stuart Mill raised the idea of "the marketplace of ideas" - a community of open, transparent discourse to find truth. Why not create a Marketplace of Ideas for your teams to share information and gain knowledge? With Atlassian tools like Confluence Questions, your entire organization has access to a centralized source of standardized information. Allowing users to easily search for answers, team members can add their own responses and up-vote the answers of others to make Confluence Questions even more robust. Identify experts in your organization with leaderboard reporting so you find your best resource for each project. Jira Portfolio, Atlassian's most exciting new offering, brings disparate teams together through initiative setting to align all projects to your business strategy, from your marketing department to your dev team. The skill field for each resource gives you even more granularity when searching for the right person, allowing users to set competencies from UI to QA. We don't think John Stuart Mill was the one who coined the phrase, "two heads are better than one," but Atlassian users agree with it just the same. Introducing tools like Confluence Questions and Jira Portfolio bring best collaborative practices to your organization as your team begins sharing and learning together. Getting others' feedback can be helpful, but sometimes you only want input from certain users. With permission setting capabilities across the Atlassian product suite administrators can determine the visibility of information to control who can edit and view data. 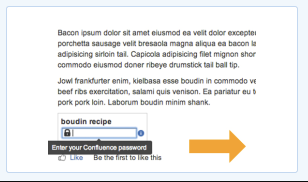 For additional security for your most sensitive information, Praecipio Consulting's Secure Content add-on for Confluence brings you the ultimate encryption with a secure yet simple user interface. Need to discuss something with a specific team? Get a room! A HipChat room, that is. Security settings in the real-time chat software gives you the ability to create your own chat room inside your organization's lobby. Add permissions to decide who gets invited to the room and a lock icon will appear next to your HipChat room to let everyone know you're having a private party. Atlassian's security and permissions settings give you the power to choose your collaborators and keep that secret project - whether a new hire or plans for the boss' birthday party - under wraps until release. Secure Content provides an easy to use, secure location for your most sensitive information. Atlassian facilitates best collaborative practices and your best processes with their entire product suite. You gain the full benefit of your team's expertise as they contribute to the CMS, share knowledge and align business strategy. Atlassian gives you the utmost transparency so everyone stays "in the know" and interacts in real-time. Getting efficient and documented feedback, you can seamlessly track user stories to stay involved in the collaborative process from ideation to release. As Atlassian product and process experts, Praecipio Consulting offers services around the innovative suite of tools to help you achieve best collaborative products and practices. We get you what you need - from process optimization to product licensing - to facilitate your best collaborative practices. The greatest ideas come from inspiration through collaboration. Harness the full brain power of your organization with the Atlassian product suite and Praecipio Consulting's best collaborative practices.